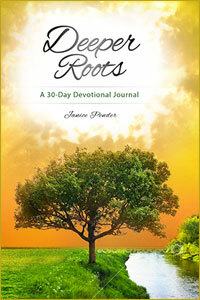 Janice Pender writes a poignant devotional journal for readers to discover the necessary components of a personal relationship with God. She writes on key points that are universal to and valuable for anyone seeking spiritual intimacy with their Lord. Readers will learn a lot from what she has to say and even more from within as they are prompted to dissect the Word, reflect on the Lord�s love and direct their souls to follow His guiding. This is a practical tool in the Christian�s hand that enables him or her to grow greatly. There are a lot of journals on the market and a lot of devotionals, but not many books offer both. Journaling and devotional life are both so intimate that they truly complement each other as a person does both things simultaneously.